[Update] The Korean Game Ratings Board has just rated Epic’s Fortnite for the Nintendo Switch, thereby implying that that the leak is legit. [Original post] A new E3 2018 leak, which has actually been confirmed legit by multiple sources, claims that Fortnite Switch is inbound alongside Paladins, and Dragon Ball FighterZ. Originally posted on the 4Chan forums, a leaked E3 2018 document allegedly contains marketing materials for the previously announced Monster Hunter Generations Ultimate, Fortnite, Paladins, Dragon Ball FighterZ, FIFA, and two yet unannounced titles – Overcooked 2 and Killer Queen Black. The 4Chan post was spotted by Twitter user ‘AAMARMO’, and quickly made its way on the ResetEra forums afterwards. While a lot of fans appear to be unconvinced that this document is legit, both Kotaku and Destructoid have now written that sources have confirmed that Fortnite, Paladins, and Dragon Ball FighterZ are actually coming to the Nintendo Switch. Following the leak, website Destructoid also chimed in by stating that the leak is legitimate. 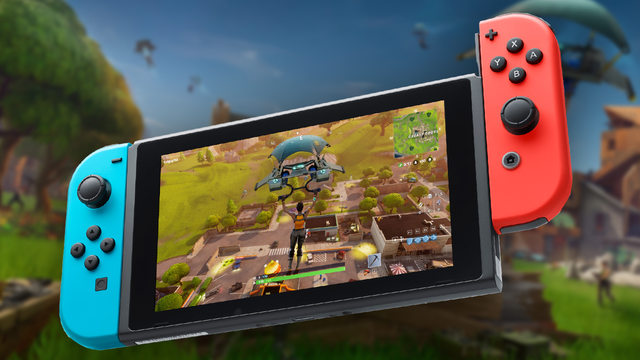 Earlier this year already reported on a rumor claiming that Fortnite would be arriving on Nintendo’s latest platform. This rumor also suggested that Diablo 3 would release on the Switch. While this rumor has been confirmed by multiple sources, please be aware that neither the developers or Nintendo has officially confirmed these titles yet.